Holidays are a time to count your blessings but our best intentions often get lost when money comes into the picture. How do you find peace today and every day in the midst of money stressors? How can youchange your mindset to appreciate what you have by staying focused on what you value most? How can counting blessings instead of dollars be the answer to your money issues? Tune in for some real money talk. We don’t have to remind you that the holidays are upon us. Between Black Friday, Small Business Saturday and Cyber Monday it’s nearly impossible to avoid all the consumer hype. What’s a person to do? Join CPA Jane Honeck and Psychotherapist Spencer Melnick as they explore both the psychological and financial side of the holiday season and help you set and stay aware of reasonable intentions for the holiday season. We all have times when financial woes throw us into our own personal nightmare. During this Halloween season, let the only bogeyman in your life be the one asking “Trick or Treat”. Remembering that “the only fear we have to fear is fear itself”, Jane and Spencer will give you four simple steps to follow when financial fear is knocking at your door. And, don’t miss “Dynamic Questions” where listeners get answers to their most pressing money questions. 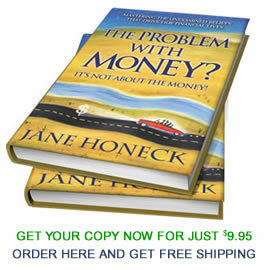 Tune in to The Money Dynamic when CPA Jane Honeck and Psychotherapist, Spencer Melnick talk real about money. Wrong again!?! How many times have you beat yourself up for making the wrong choice—especially when it comes to money? Believing there are “right and wrong money choices” are at the core of our money confusion. Continuing with their exploration of 5 Money Myth’s, Jane and Spencer will bring you out from your cloud of shame and blame to clearly all the money choices right for you. After all, we all have a different money history and perspective, so who but you can determine what is the right course for your life. Building real money awareness by connecting to what’s right for you means every choice you make is the right one. Tune in to The Money Dynamic when CPA Jane Honeck and Psychotherapist, Spencer Melnick discuss new ways of thinking to gain mastery over your finances. The belief that financial change means self-criticism and being “brutally honest” about shortcomings is explored with Money Myth #3. Continuing their exploration of 5 Money Myths, Jane and Spencer explore why this painful method of change doesn’t work. With discussions about What’s good with your money management and Finding your own well-developed process, they help you approach money issues with curiosity, interest and energy. Tune in to The Money Dynamic when CPA Jane Honeck and Psychotherapist, Spencer Melnick discuss new ways of thinking to gain mastery over your finances. The belief that others know more than we do about what to do with our money is the basis of Money Myth #2. Continuing their exploration of 5 Money Myths, Jane and Spencer explore who really is the expert. Why do you believe others no more than you do? What do they know that you don’t already know? And, more importantly, how do you build the confidence to know you are your own best money expert! Tune in to The Money Dynamic when CPA Jane Honeck and Psychotherapist, Spencer Melnick discuss new ways of thinking to gain mastery over your finances. Strength-based Money Management: Have you noticed how talking about money is always from the viewpoint of what we’re doing wrong? And, financial advisors seem to focus only on our deficits when giving advice? Yet research proves that people move toward improved behaviors and enhanced skills by focusing on their strengths not weaknesses. Counselors, coaches and teachers all know this-but not money advisors! Tune in to Your Money and Your Life when Jane and her new co-host, psychotherapist Spencer Melnick, discuss the repercussions of this negativity approach as they explore how a strength-based perspective will positively impact not only our attitude but more importantly our behavior with money. Caution: You may find you’re alright with your money! One thing you can believe in without a doubt. And, as change happens in life, so too with Your Money and Your Life. Join Amy and Jane for their final radio show. They will review past conversations, favorite words of wisdom as well as share upcoming opportunities. 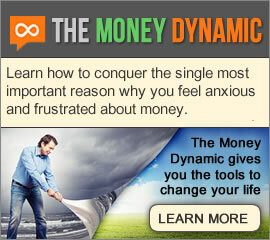 They welcome psycho-therapist, Spencer Melnick, Jane’s new co-host on the new DV7 radio show, The Money Dynamic. Get a taste of future shows and learn about money styles. Knowing your money style and working from your strengths will make your life and the lives around you easier. Don’t worry, Change happens and your money and your life will be in good hands. Do you ever get to January shaking your head saying “What just happened?” Holiday spending traps are all around you and if you’re not conscious it’s easy to fall into them. A recent NY Times article revealed the secrets of how stores manipulate us to spend, spend, spend. Join Your Money and Your Life co-hosts, Jane Honeck and Amy Woods to get the inside scoop and learn how to create the Holiday you want. With a bit of planning you can start the New Year without a financial hangover.